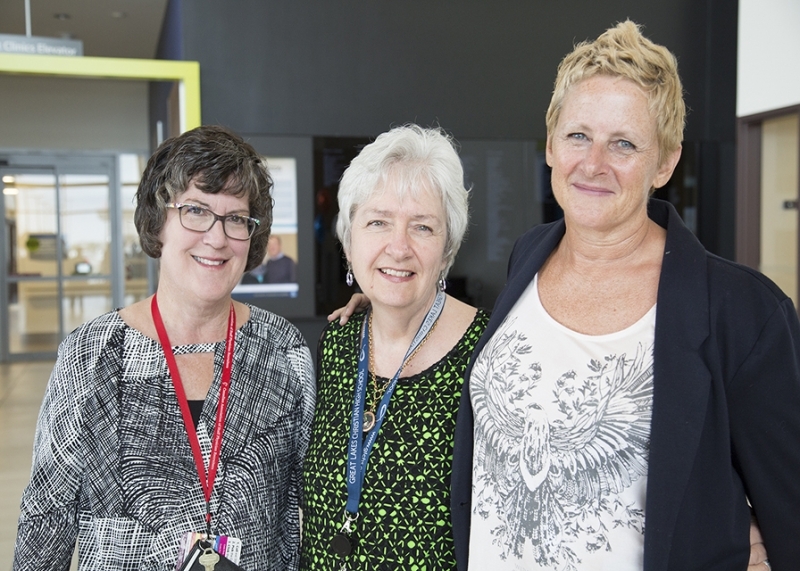 Niagara Health is one of only 15 healthcare organizations in North America to be recently named a recipient of The Beryl Institute’s Patient Experience Grant and Scholar Program. The Patient Experience Grant Program supports healthcare organizations as they test ideas and efforts impacting the experiences of patients and families. The Beryl Institute, the global community of practice dedicated to improving the patient experience through collaboration and shared knowledge, is supporting the work of Niagara Health’s Walker Family Cancer Centre patient experience team. The team is focused on improving the overall patient experience by collecting first-person narratives from patients and their healthcare providers. Last fall, Cancer Care Ontario launched Your Voice Matters, an electronic survey that measures patient experience. The Walker Family Cancer Centre is exploring the idea that we can move towards a cultural change in provider/patient relationships by complementing Your Voice Matters with first-person narrative collection. In partnership with the Patient Experience Institute, the annual grant and scholar programs reinforce the commitment to help frame and expand the field of patient experience, develop leaders on the front lines and throughout the experience movement. All recipients will complete research in their areas of focus and develop research reports to be published through The Beryl Institute. The Niagara Health team will also be presenting its research at The Beryl Institute’s annual conference next March. To view the full list of The Beryl Institute’s Patient Experience Grant Program recipients, click here. The Beryl Institute is the global community of practice dedicated to improving the patient experience through collaboration and shared knowledge. The institute defines patient experience as the sum of all interactions, shaped by an organization's culture, that influence patient perceptions across the continuum of care. Patient Experience Institute (PXI) is an independent, non-profit, organization committed to the improvement of patient experience through evidence-based research and professional development efforts including certification and continuing education.